Situated 23 kilometers south of the pacific coast of Panama lies the uninhabited island of Coiba. 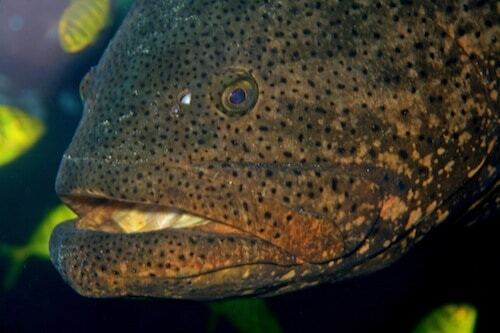 Along with Malpelo and Galápagos, Coiba is part of the same underwater mountain chain attracting huge quantities of pelagic creatures to it’s surrounding waters. A real paradise for scuba divers. The diving conditions are not the easiest here. But like with anything else, you have to get wet to see the rainbow. 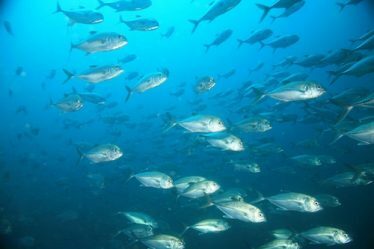 Strong currents are the norm here, the good thing is that these currents bring big fish, and that is what diving in Coiba is about. Don’t expect lots of colorful corals. Instead, get ready for tons of wildlife. Huge schools of jacks, snapper and barracuda ofter swim by the reefs. There is also a healthy population of sharks, the white tips are the most abundant. 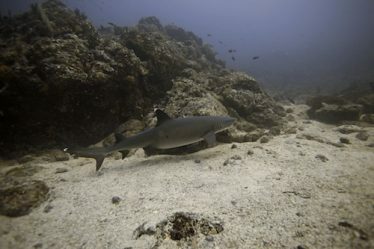 Although rare, nurse and bull sharks are also seen within the park while the tiger and hammerhead sharks are the most unlikely to encounter. If you come during the dry season, you might spot the biggest fish in the ocean: the magestic whale shark. We spent 2 months living in Santa Catalina and working as diving guides to Coiba. In our opinions, Coiba is probably one of the most underrated diving destinations in the world. We still don’t understand why this place is not as popular as others around the area. Coiba deserves a few days of diving to fully experience what the marine park has to offer. In these cases, spending the night in Coiba is highly recommended. Not only do you save the bumpy boat ride back to Santa Catalina, you experience the beauty of Coiba. The island is for the most part untouched, you can easily spot wildlife like crocodiles, monkeys and macaws. 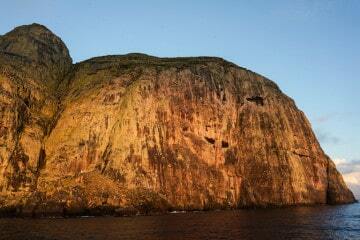 Hiking possibilities are also available on the island. You never know what you will see. Almost anything can appear out in the blue in Coiba: humpback whales, bull sharks, massive schools of barracuda or mobula rays, whale sharks… you name it. Diversity of wildlife. Everything here is bigger and in more numbers than most places. It’s a 1 1/2 hour bumpy boat ride to the island from Santa Catalina. 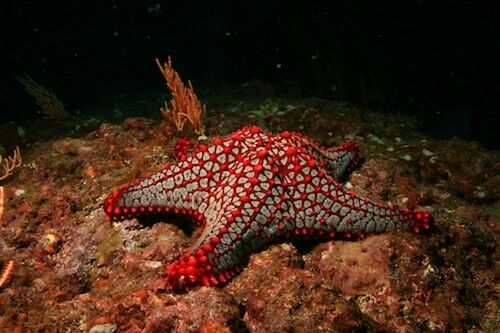 The diving in Coiba is very diverse and there are many different species you can spot. 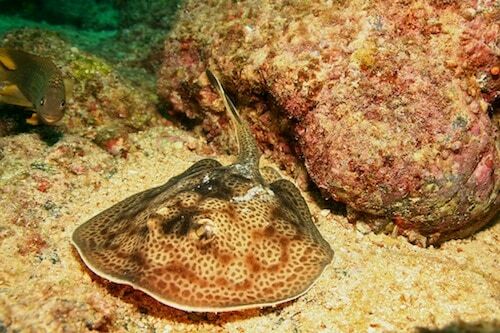 It’s very difficult to spot everything in 2 or 3 dives, so the more you dive the better. 2-3 days of diving is a good amount. 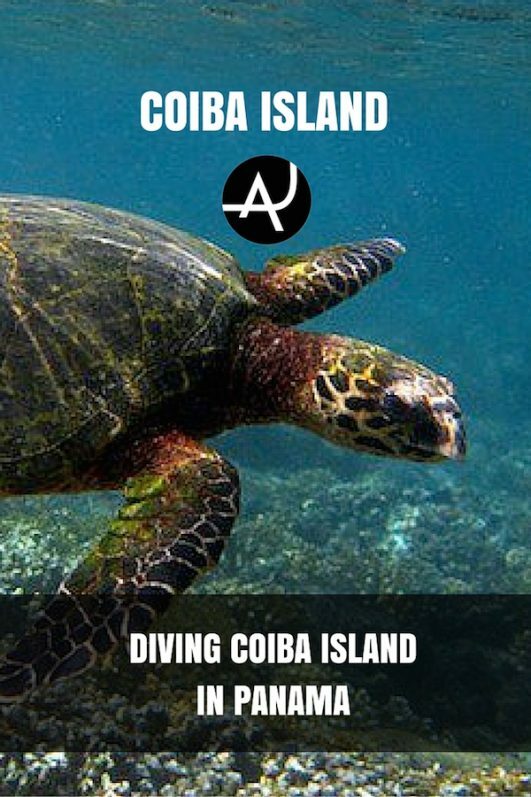 You can dive in Coiba all year around. During the dry season you will have chances to see whale sharks, giant mantas and schools of mobula rays. During the rainy season, humpback whales come to these waters to breed. 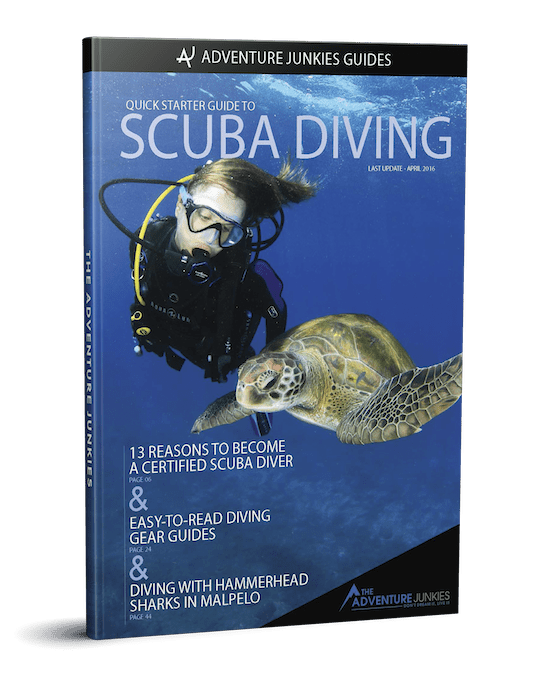 There are 4 dive centers based in the little town of Santa Catalina. From there, you can do day or multi-day trips to Coiba. Stay at least one night in the island. There are cabins where you can sleep for 20 USD per night and the overnight experience is really worth it. If you overnight, you only need to pay the park fee once. 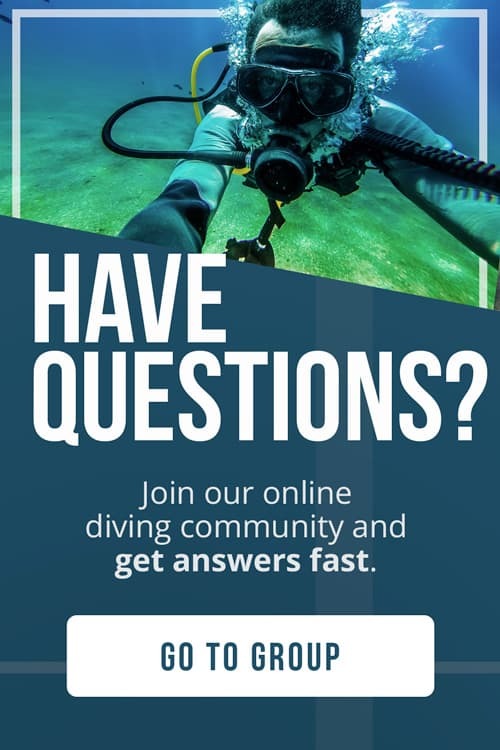 Bring your travel BCD, dive mask and your own dive watch if you have it, as most of the dive centers don’t have computers for rent. 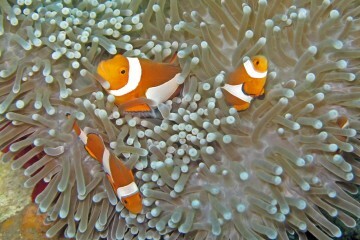 We were surprised with the quality of the diving in Coiba island. 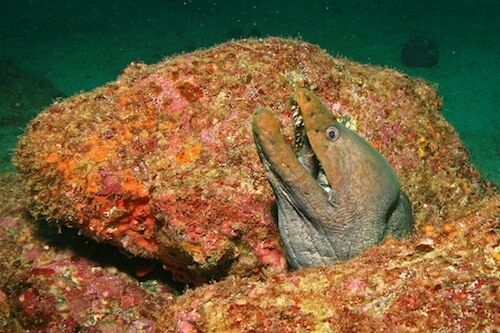 The amount of marine life you see on every dive is impressive. Beginners can find the conditions a bit challenging sometimes. Drift diving is the norm and strong currents are often encountered. 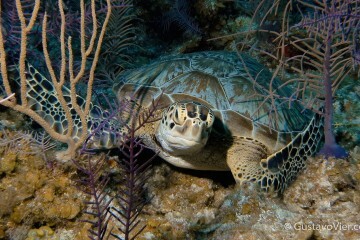 It’s also an expensive place to dive if you compare it with other places nearby like Colombia or Honduras. Coiba is not close to the mainland so the petrol needed for the boat pushes the prices up, but it’s worth every cent you spend to dive here. It’s a truly spectacular place.